Fog Fluctuations Could Threaten Giant Redwoods California's towering redwoods depend on coastal fog for much of their yearly water supply. But in a new study scientists report that the long-term health of these iconic trees may be in danger as weather changes could contribute to fewer days in the mist. The fog that chills Northern California summers and regularly buries the Golden Gate Bridge in a white cloud may be in decline. The California fog is a creature of a strange climate along the California coast. Biologist James Johnstone from the University of California, Berkeley, a native Virginian, realized just how strange when he moved there. "It can be 55 degrees and humid along the coast, but if you go up a mountain slope or go inland just a few miles you can go to 80 or 90 degrees and, you know, 20 percent humidity," he says. This soggy to toasty divide — scientists call it a "gradient" — is part of what causes California's coastal fog. The other part is what's going on in the ocean. Johnstone says, "There's a systematic connection between fog and a variety of other ocean and atmosphere factors that seem ultimately to be driven by the position of the high pressure cell that resides off the coast of California in summer." That atmospheric cell, along with cold ocean upwelling and the land gradient, all conspire to make fog. After looking at historical climate data for the region, Johnstone found that the fog is diminishing. "When you look at the evolution of that land temperature pattern," he concludes, "it strongly suggests that there's been maybe a 30 percent decline in fog frequency." That can amount to three hours' less fog a day. A lot of that decline happened before the late 1990s; the all-time low was 1997. Since then the fog frequency has returned almost to what it was in the 1950s, when direct observations of fog began. Over the century, though, records suggest the long-term trend is a fog decline. And Johnstone doesn't know why. And that worries people who care about California's redwood trees. 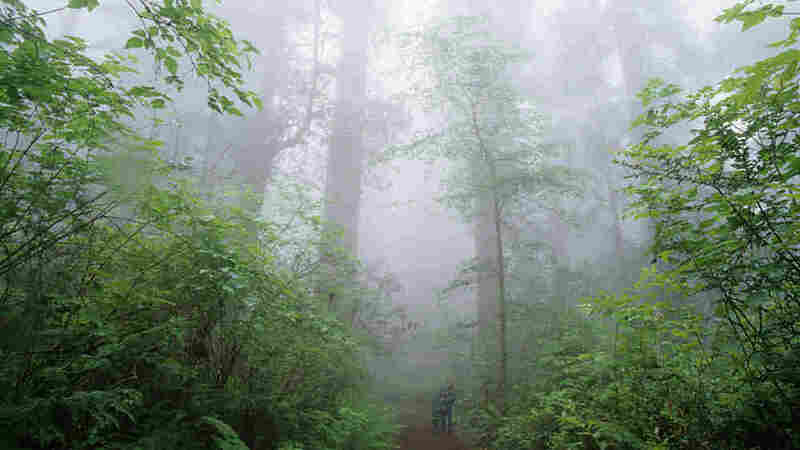 "These forests take up to 30 or 40 percent of their water requirements a year from fog, here in what is essentially a Mediterranean climate," says Ruskin Hartley. He runs a 90-year-old organization called Save the Redwoods, which helped fund the fog research. Dan Porter, an ecologist with The Nature Conservancy, says what a California redwood does is unique. "It can actually absorb fog water at its leaf surface, and by doing so it reduces the amount of lifting from the roots, from the groundwater, that is necessary during the driest period of the year." Johnstone's research appears in the Proceedings of the National Academy of Sciences. Most scientists predict changes in temperature, rainfall and even ocean currents as the planet's climate warms. Johnstone says what ultimately happens to California's fog machine will depend a lot on how global climate change affects California.